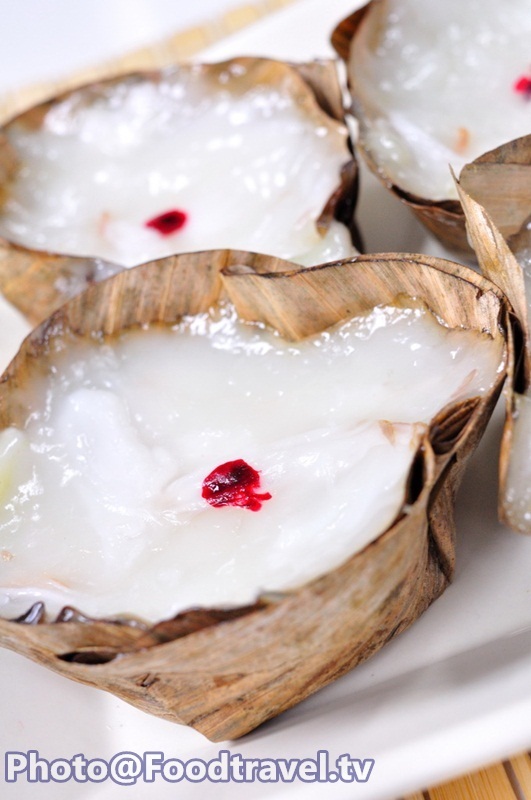 Sweet Coconut Basket - This menu is very popular in the Chinese New Year. The meaning of basket is a ‘basket of money and fortune’. 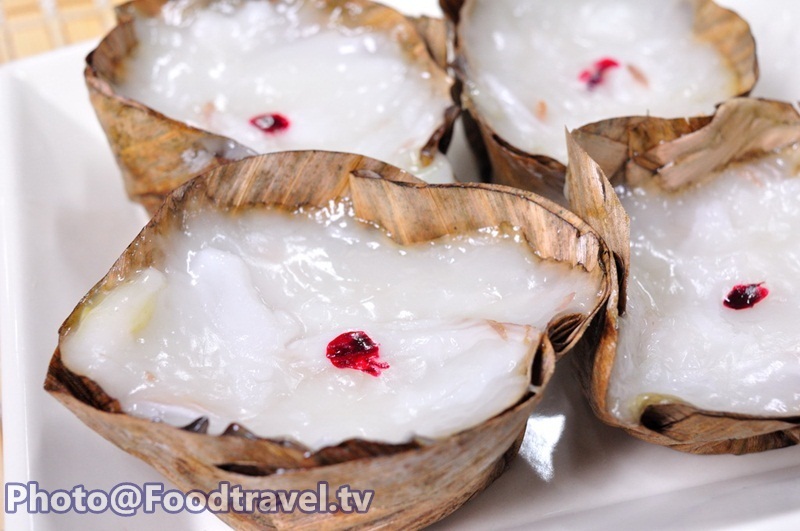 Try this sweet delicious with coconut and soft texture of glutinous rice flour. 1. Mix flour, sugar, coconut juice and knead with your hands until the flour and sugar dissolve well. Add coconut meat to mix them up. 2. Add ingredients into cup. Steam in boiling water for 60 minutes and set aside to cool. Use the paintbrush tinge color dot on top in the middle. You’re done.